Still not a member? Join today! 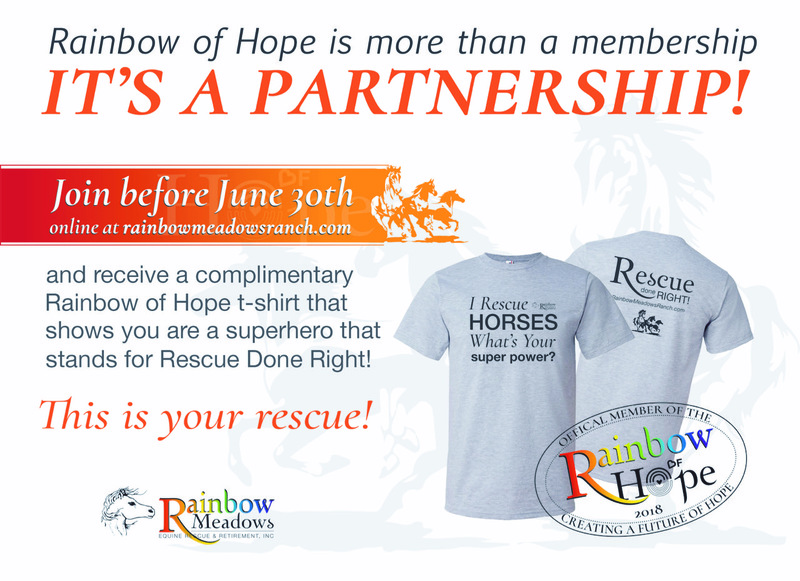 Rainbow of Hope is more than a membership - it's a partnership! A partnership that pledges, “Rescue done right.” At Rainbow Meadows, it’s not just a tag line - it’s a way of life. 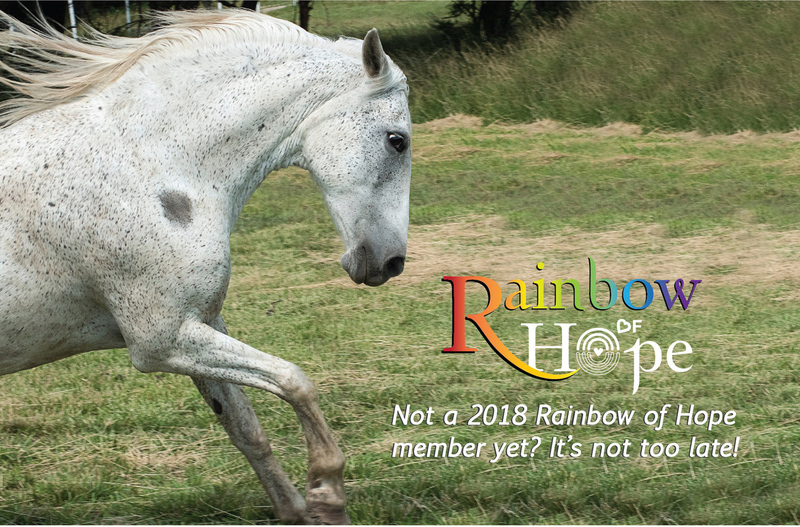 When you choose to become a Rainbow of Hope Member, you help uphold the promises we make to horses and adopters. You ensure that we are there for those that need us most. Join today! Whether you choose to be a monthly giver or just one-time, you are giving every horse the hope it deserves.